Sometimes it seems like holidays just creep up on us, doesn't it? 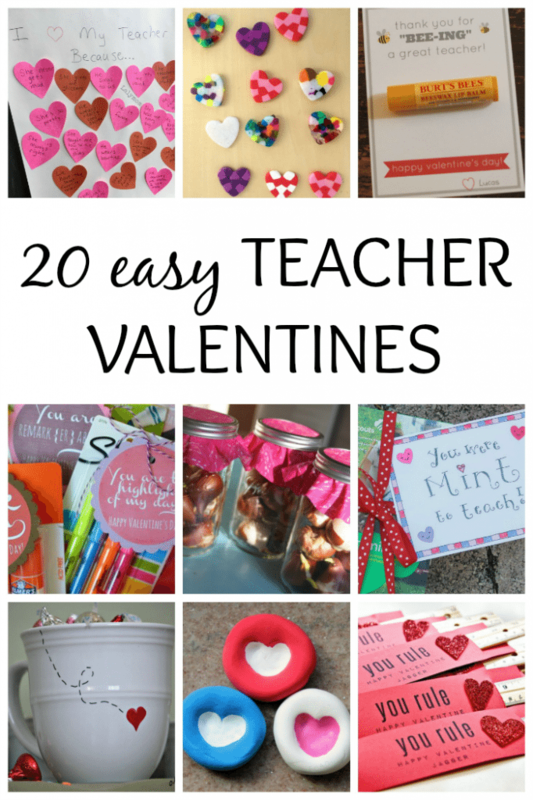 I'm loving these oh so very easy teacher valentines ideas for that very reason. You can only do so many Starbucks gift cards, and when it comes to Valentine's Day, something handmade always speaks to the heart. 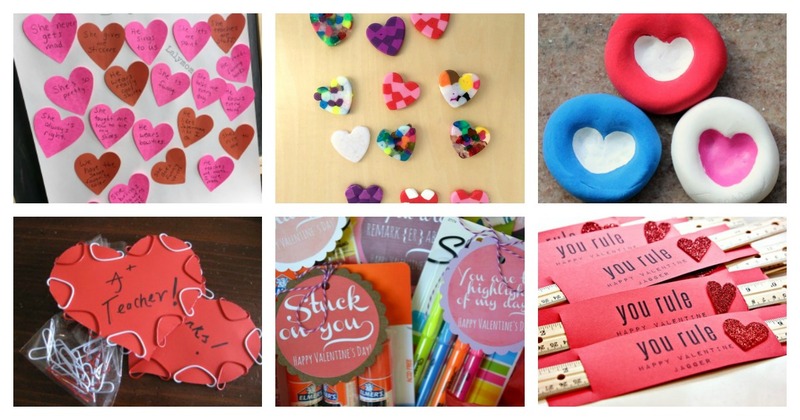 These Valentine's Gifts can be made last minute with the kids if need be, and while they are perfect for teachers, they would also work for parents, grandparents, friends and classmates. Plus how can anyone turn away from a sweet handmade gift from a kid?! Now the only problem is deciding which one we should make! 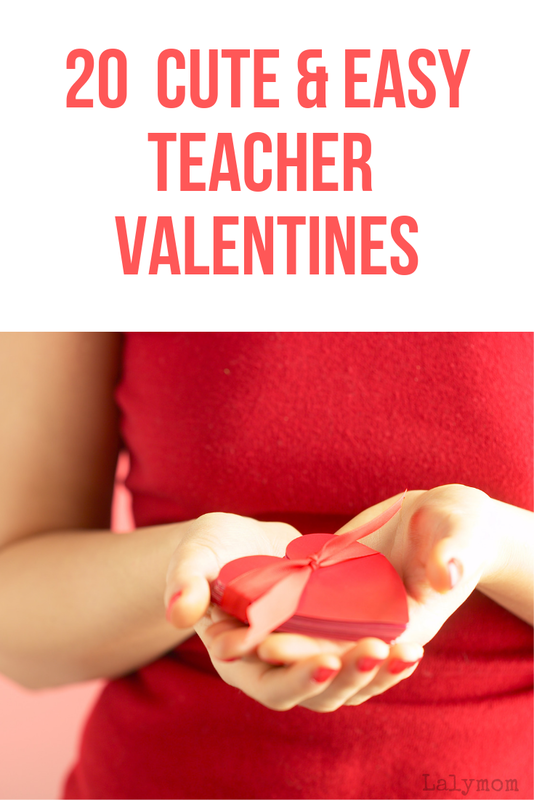 Click on the links below to get the full details about the valentine ideas for teachers. Some even include free printables . . . score! DIY Sharpie Mugs from Oh, Honestly! 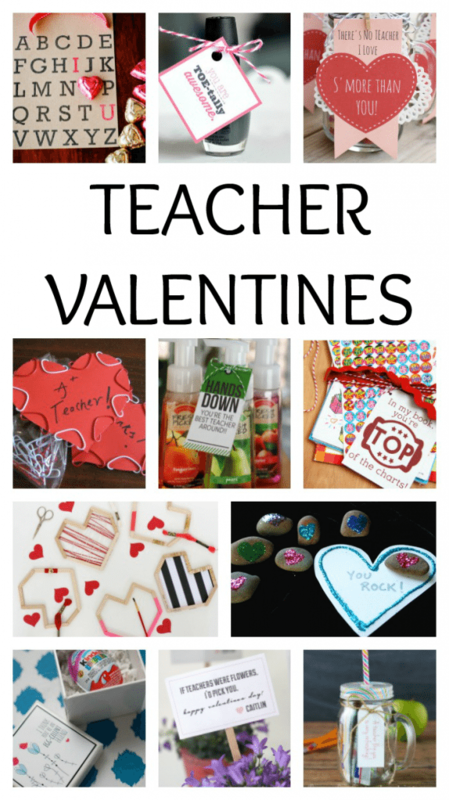 What are some of your favorite super easy, last minute teacher valentines to make with the kids? Do you like getting the valentines done way ahead of time, or did Valentine's Day sneak up on you? Don't forgot to pop over to my Valentine's Day Pinterest board for even more ideas. Thank you for sharing my printable here! What a great round-up of ideas!